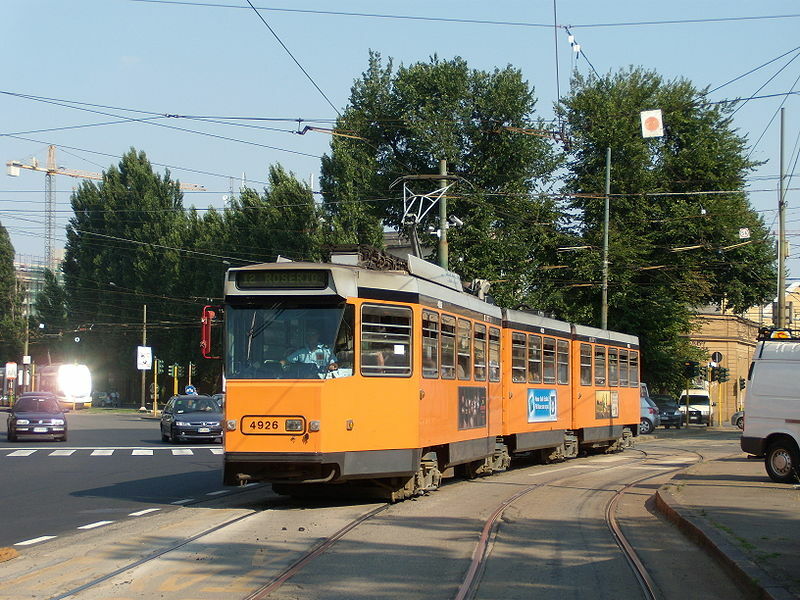 The Milan system after the introduction of semicircular tram service 10. 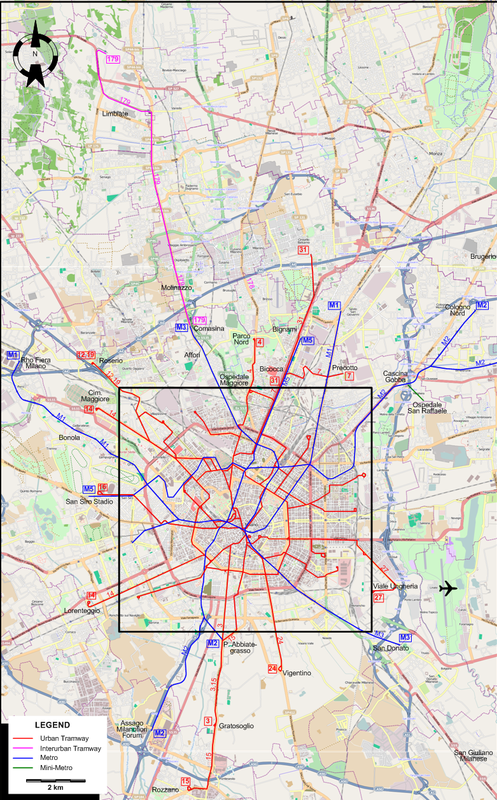 * Lines 4, 7, 15 and 31 are considered to be express tramway services, part of the Metrotranvie network. Urban tramways (horse-drawn:) 1835-1850; 8 July 1876 - 1906? ; (steam:) 1840-1920; (electric:) 1 Nov. 1893 - today. 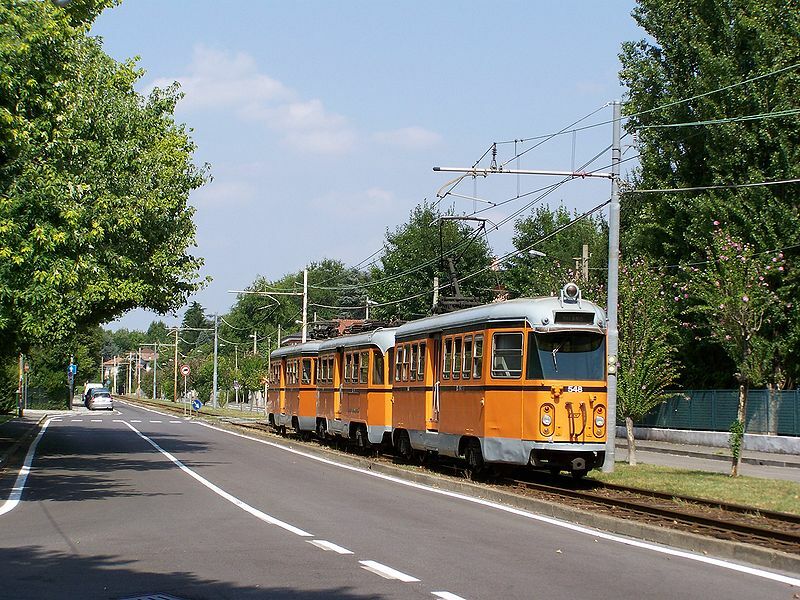 Interurban tramways: (steam) 6 June 1878 - 15 March 1929; (petrol engines): 15 March 1929 - 28 Oct. 1936; (electric) 8 Nov. 1925 - 1 Oct. 2011 (Desio), still running (to Limbiate) . 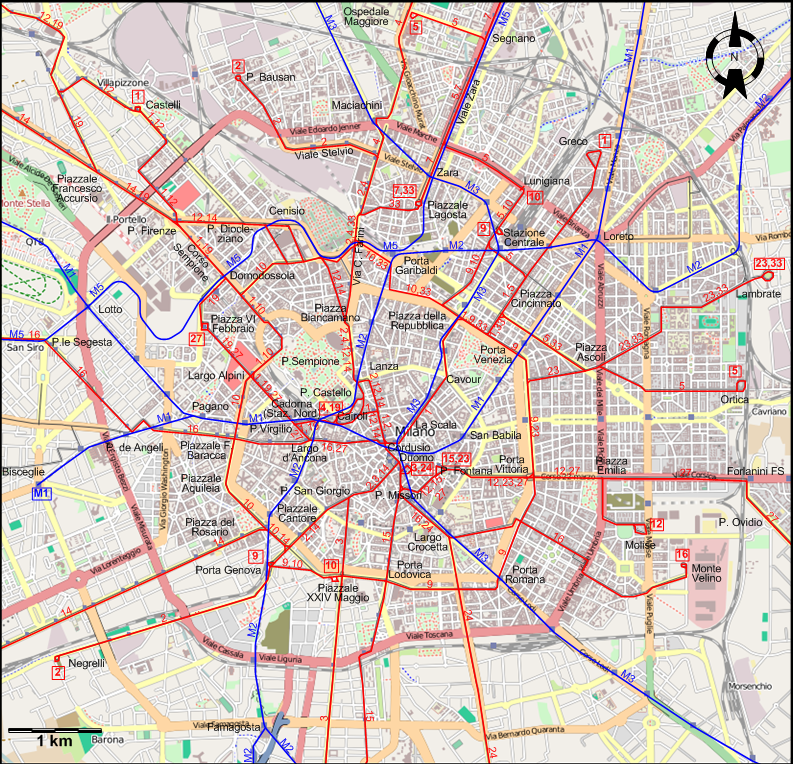 Metro lines: 1 Nov. 1964 - today. Baddeley, G.E. "Il Gamba de Legn... The Magenta Tram (Part 1: Historical)", Modern Tramway & Light Railway Review, Aug. 1969 (32: 380), p.276-282. Cross, B. 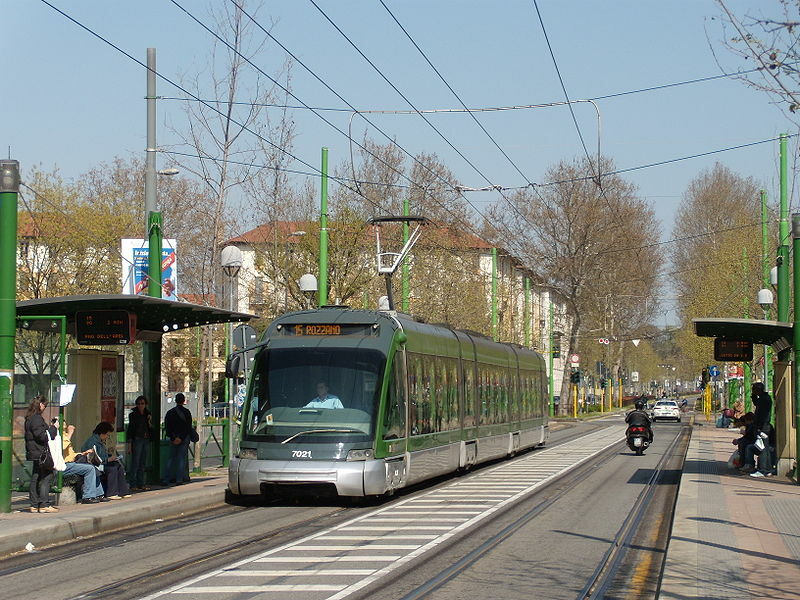 "Milano: City's urban trams are headed for a bright future", Light Rail & Modern Tramway, Feb. 1996 (59: 698), p.51-55. Cross, B. "Milano: Dawn of a new ear of public transport", Light Rail & Modern Tramway, Sept. 1996 (59: 705), p.342-344. Marzorati, C. (Translated by Baddeley,G.E.) . "The Peter Witt cars of Milano: 60 years of service", Modern Tramway & Light Rail Transit, July 1989 (52: 619), p.227-238. 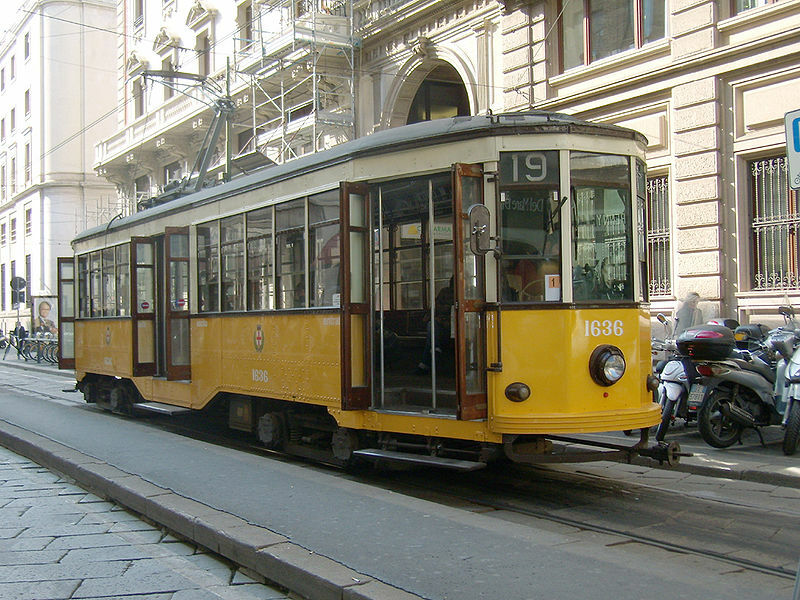 Ogliari, F. El Tranvai: Milano dal vapore al metró (The tramway: Milan from the steam era to the metro). Milano: Libreria Milanese, 1993. 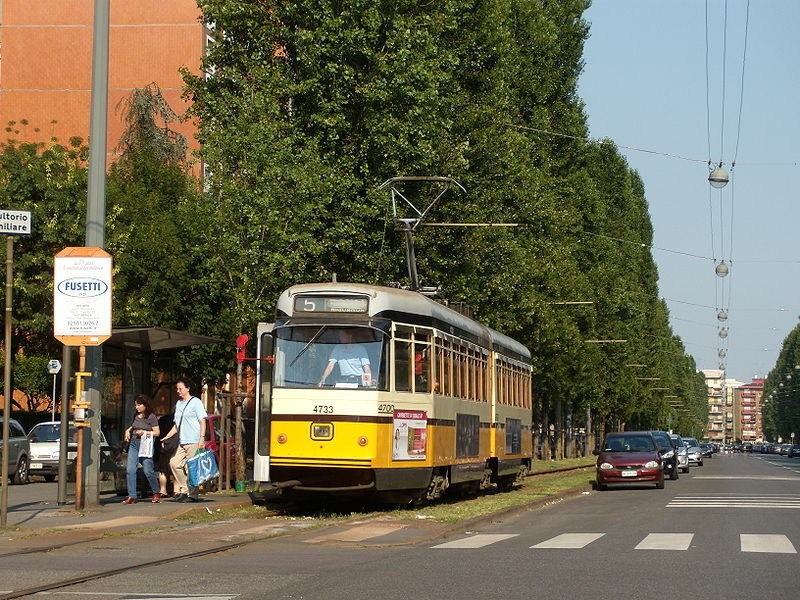 Pulling, N. "Systems Factfile - No.31: Milan, Italy", Tramways & Urban Transit, Apr. 2010 (73: 868), p.139-141. Pulling, N. "Systems Factfile - No.120: Milan, Italy", Tramways & Urban Transit, Oct. 2017 (80: 958), p.384-388. Wansbeek, C.J. 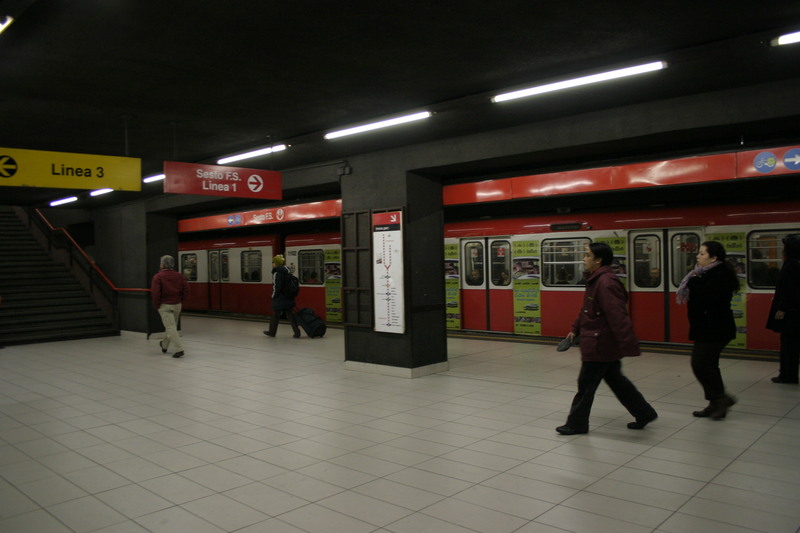 "Milano: Metrotramvia is a brand new buzz word", Tramways & Urban Transit, May 2003 (66: 785), p.174-177.